Client Remks:Welcome To California Condos! 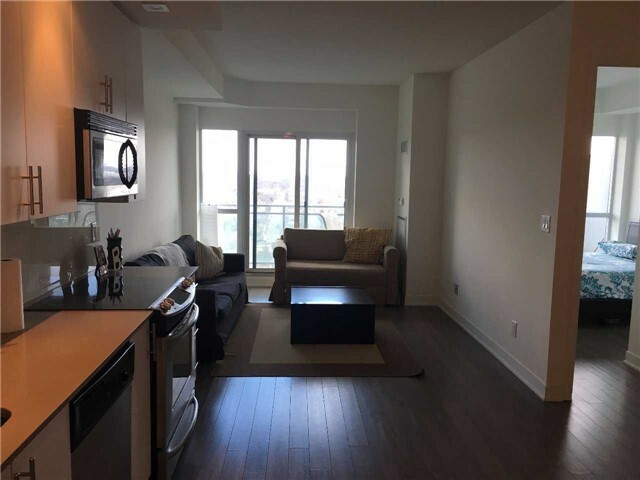 This High Ceiling, High Floor Unit Has Amazing North Views Of The City And Provide Affordable Living Steps From The City Hosting 695 Sq Ft Of Living Space Incl., Balcony. Fully Upgraded With Quartz Counter Top, Built In Appl., Laminate Floor And Ensuite Laundry. Large Walk In Close With Bedroom And Walk Out To Balcony. Great Space For Entertaining Guests. Landscape Roof Top Gardens And 75000 Sq Ft Of Lifestyle Amenities. Extras:4 Sauna, 2 Squash Crt., Yoga-Aerobics Studios, Indoor-Outdoor Whirlpool & Swimming Pools, Running Track, Plenty Of Bbq's. Live & Enjoy. Fridge, Stove, Washer, Dryer.